Approximately 4 species in Santa Cruz County. 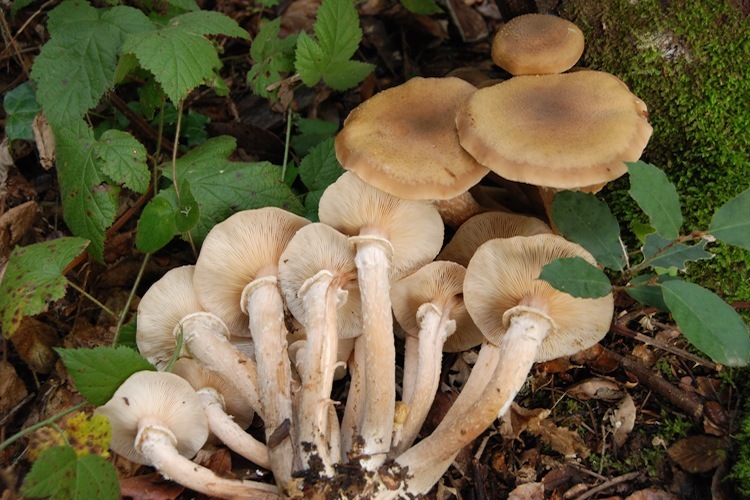 Armillaria has three species recorded from the county, but taxonomy of this group is complicated. Although the fruitbodies are variable in many respects, recognition of the genus is straightforward. Fruitbodies are medium-sized to large, often occur in huge caespitose clusters (but also singly, depending on the species). Gills are attached and often have a decurrent tooth, and a partial veil covers the gills when young. 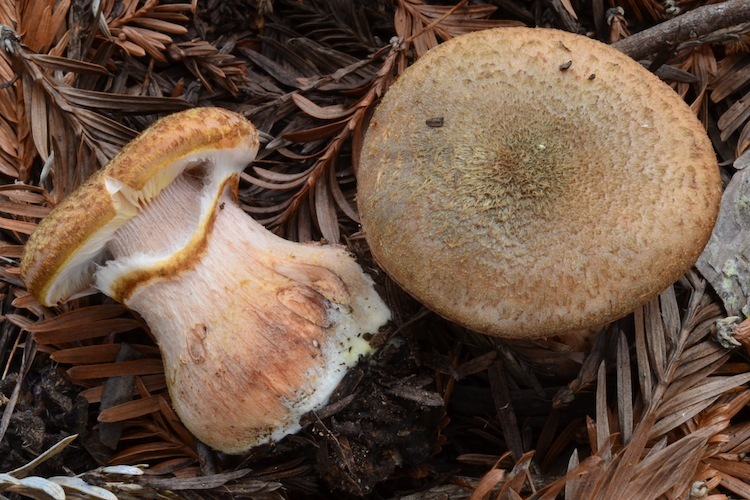 Caps are honey-brown to beige-tan, hygrophanous, weakly striate and sparsely covered in small fibrils variably yellow to nearly black. The stipes have an interesting stringy core of soft tissue surrounded by a somewhat cartilaginous rind. The spore deposit is white and extremely heavy. Parasitic, causing white root rots on various forest trees, spreading by means of dark, stringy rhizomorphs. 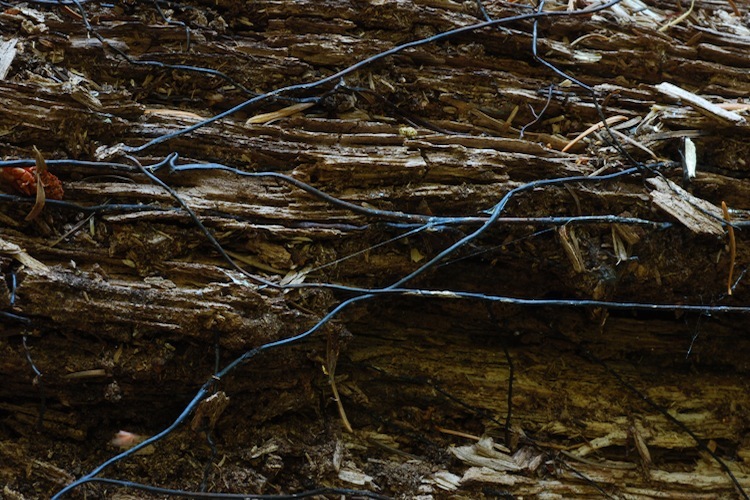 After the host is dead, Armillaria act as saprophytes, digesting the lignin of the dead tree. The genus is notorious for its impacts both ecological (causing huge blighted areas of forest) and economic (killing avocado and other fruit trees). Honey mushrooms are also famous for being some of the largest and oldest living organisms on Earth – one mycelium is thought to be a millennium old or more, and covers many square miles of forest. Important identification characters include stature and coloration of fruitbody, fruiting habit, and especially host tree species.